Hi to all of you who’ve found your way to this blog post. Following a week to ten days when all sorts of things have interrupted my crafting, as well as my browsing around the blogs I love to follow, I’ve been slowly trying to catch up over the last couple of days. There are so many wonderful crafting blogs I’ve added to my Bloglovin’ list because I love to look at all the crafty makes of a lot of wonderful crafters, plus I do think it’s polite to do a return visit if somebody’s been kind enough to visit my blog and leave a comment, although the return visit may not be straight away – and in any case most of those who’ve commented lately are already on my list of blogs I follow. Many of you have been kind enough to comment on previous posts of mine and mention what a lot of crafting I’d got on show – when I was actually thinking that I wasn’t achieving a lot at all. But I’ve just realised the fact that I blog in batches must be giving people the impression that I make huge quantities of crafted projects. So I went to have a look at how the quantity of my craft blogging compares to others – not because it’s particularly important you understand, and not because I want to be making as much or the same type of crafting as anybody else, but simply because the thought struck me so I just had to have a bit of a look to find out. 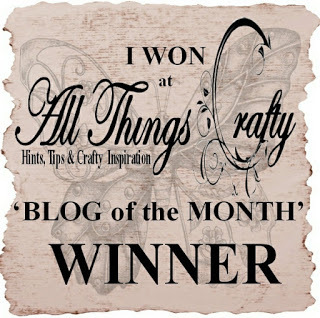 In a period of the last 10 days (writing this bit on Tuesday 25th), when I’ve managed 3 blog posts with 6 cards each on them, making a total of 18 cards, one of the wonderful crafters who’s blog I follow via Bloglovin’ has put up over 25 blog posts of her creations. Wow! And there are heaps of the blogs I follow with well over 10 new posts in that period, some with more than one creation on show in each post. 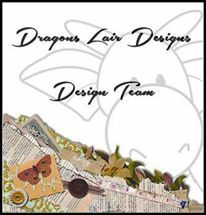 So I’m thinking now that I’m not really making any more than most of you wonderful crafters out there, that it’s just my method of working and blogging that’s different, with many of you making lots of different blog posts because you are on several different design teams. I don’t know whether my method of blogging in batches puts people off looking at my blog, I just know that I find it easier to work, and keep a record of my crafty creations, in this way. I know that I write a lot in each blog post – this helps me remember what colours or cardstock I’ve used in case I want to get a similar effect in the future, in addition to providing information that some readers might be interested in, such links to where the items I’ve used can be found – but please don’t think that you have to read every word I’ve written. If you don’t want to know what I used and how I made a card you can just click the thumbnail images to view each card at a larger size, and then click “Back” and go look at the next crafted item. And now – back to my browsing and commenting on the blogs I follow – well I’ve had to admit defeat, and I apologize and say that there’s no way I’m going to be able to comment on every post made over the last 10 days by the crafters I follow. The shear numbers make it impossible, but also I tend to get engrossed in reading every detail of blog posts and before I know it an hour has gone and I’ve only been to half a dozen different blogs at most. So much crafting to look at and gain inspiration from in Blogland, and far too little time to look at everything. – I need more time! If anybody’s got any spare please send it my way. What I’m now trying to do is look at all the pictures on display on Bloglovin’ and just pick a post or two by each blogger to go and read in more detail and comment on. So now, onward to the crafting I’ve completed Tuesday evening/Wednesday morning. After the bright colours of the rainbow card, and the rich colours of the bird and lilac card, in my last post, this time I’ve gone for a much more muted look. I hope you like the cards and jewellery I’ve got to show you today. 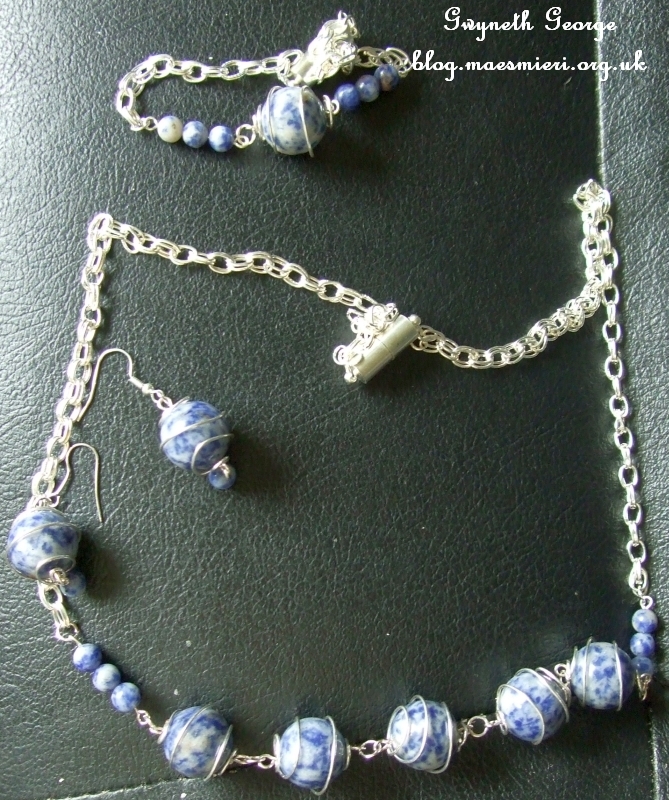 This is a set of a necklace, a pair of earrings and a bracelet. 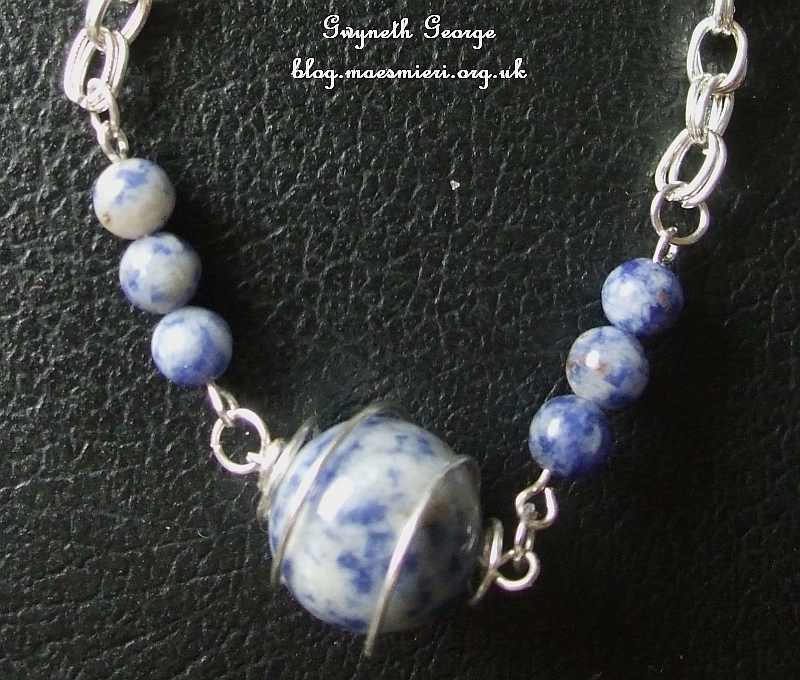 The set is made using two sizes of Brazilian Sodalite beads – 16mm which are wrapped with silver toned wire in all three pieces, and 6mm sized ones which are clustered in groups of three on eye-pins on both the necklace and bracelet and as a single drop on head-pins on the earrings. 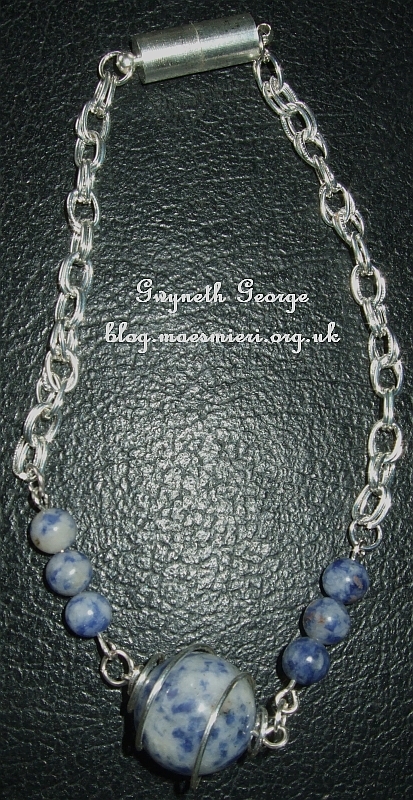 The chain I’ve used is a double link one, and I’ve used barrel magnet clasps on the necklace and bracelet. Closeup of necklace wrapped beads. Monday, 24th June – Here! 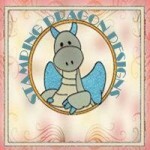 – Fantastic Card Designs Selected By The CUP Community! Morning Gwyneth, gorgeous cards and loving your jewellery. I hope you have a wonderful ay and fabulous weekend. 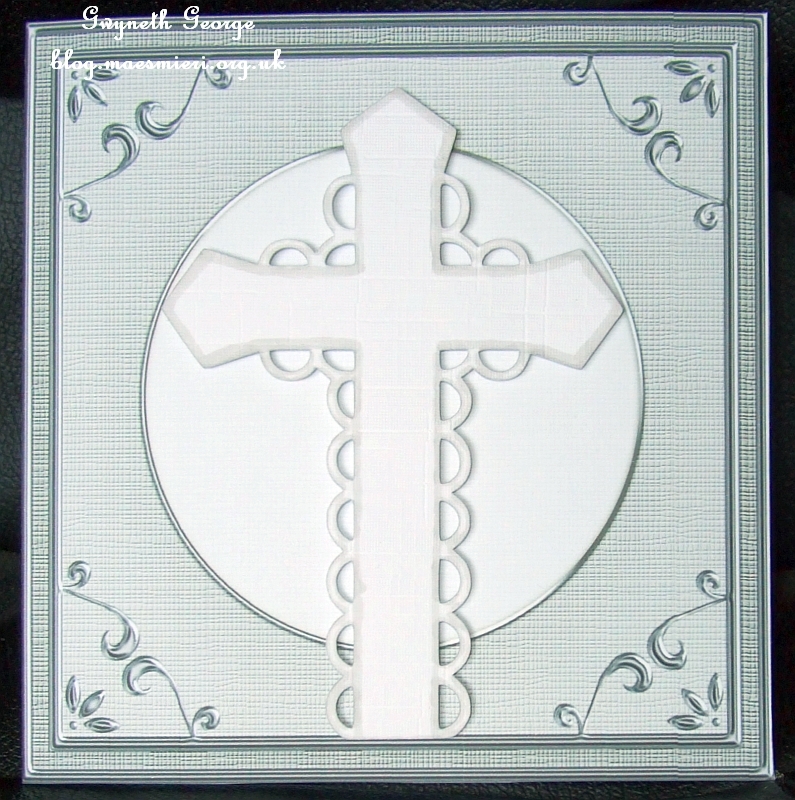 A great selection again Gwyneth – I love number 1 the best – its really beautiful with delicate colours and lace effect – fabulous. Re your discussion on blogging -I prefer to see blogs like yours with plenty of content, rather than ones that are published two or sometimes three times a day (some times I struggle to comment on them all!). I try to discipline myself to post more or less on a daily basis, but don’t beat myself up if I don’t manage this – life is for living etc etc. wow beautiful cards and a gorgeous neckless Gwyneth. As always, the cards are absolutely gorgeous. I love the understated colours and papers etc. 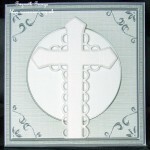 The layouts are great and perfect for christenings etc. 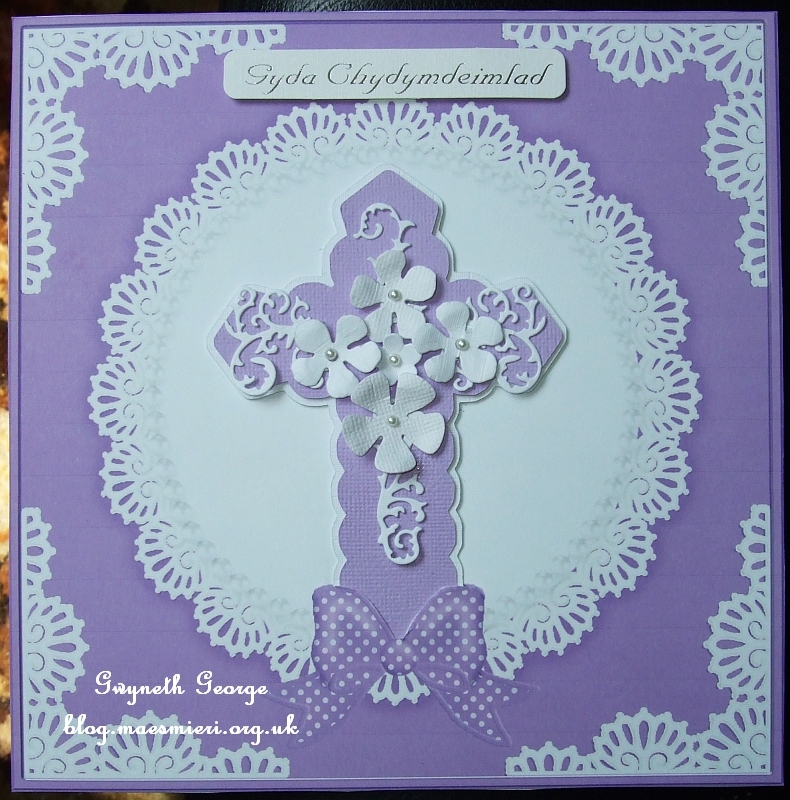 Fabulous cards Gwyneth with lovely soft colours. 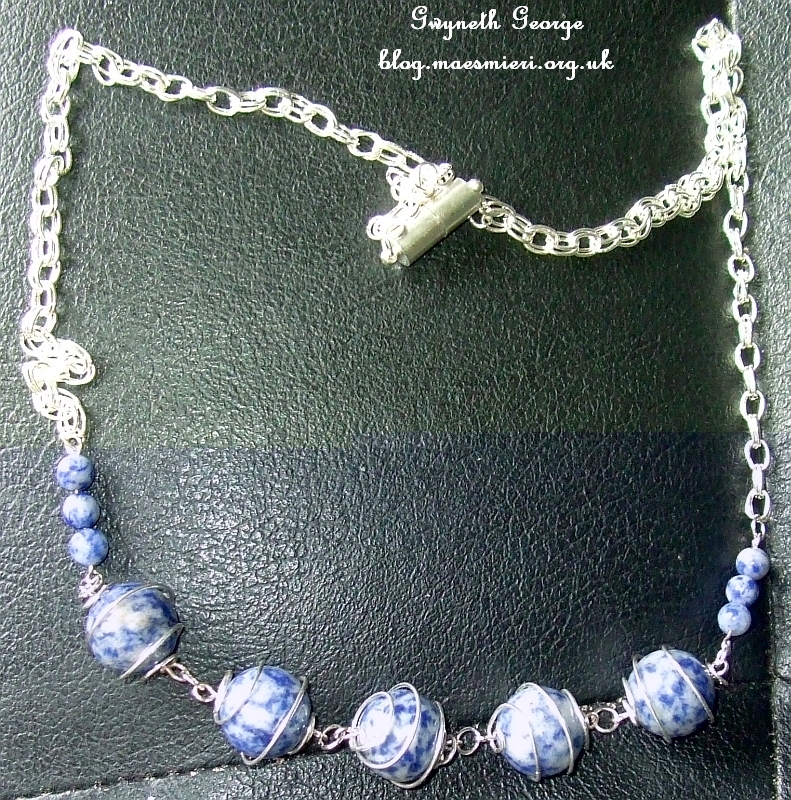 The jewellery set is wonderful and I love the beads. I don’t blog all the cards I make, I just don’t have the time. I sometimes find it a struggle to get round all the blogs I follow, but, like you, I do try. As a regular follower of yours I know what to expect with regards to multiple cards and projects. I think it’s a good idea as there is less pressure to comment on each and every item than if you blogged them individually. Keep up your style, I like it. Another stunning selection of projects Gwyneth. 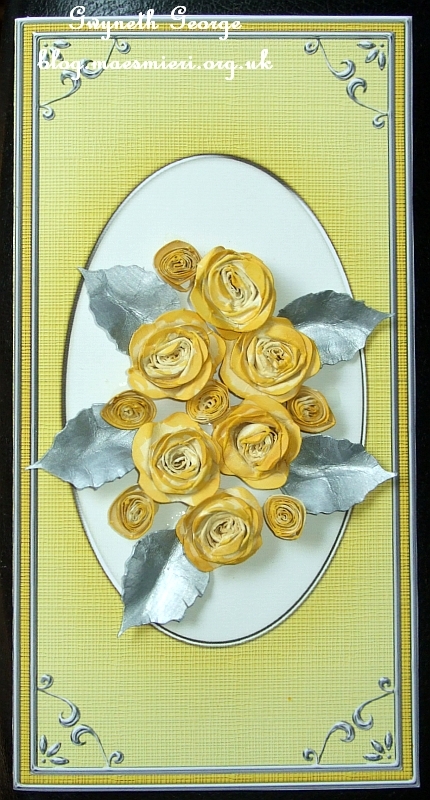 Loving the cards, particularly the lace front card and I so admire your skill with jewellery making. That is quite beyond me. I really appreciate the time you take to visit my blog and the kind and considered comments that you make.